"JUST BUZZING BY TO SAY HI!" Hi friends! 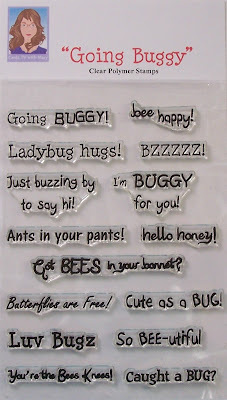 Today we're going to make a cute, little all occasion card using Cricut Create A Critter, Elegant Edges, and Cardz TV Stamps "Going Buggy"! Thanks for watching! For a limited time, "Going Buggy" is on sale for just 7.99 + s&h! You can pick up your set by clicking HERE! Hi guys! 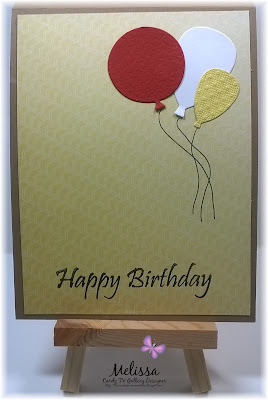 Today we'll make a quick and easy birthday card using the CTMH Heart Happy kit, some rectangle dies, and Cardz TV Stamps "Mini Messages". Hope you enjoy! Thanks so much for watching! If your order is over $50.00, please email me your order, shipping address and phone #. Because of all of you awesome peeps, I've earned my 7th or 8th incentive trip with CTMH. My thank you to you is while I'm cruising, I'm giving you 100% of my profit back when you order $50.00! That's $10 you get to spend on paper, stamps, ink pads, reinkers, and blocks. =) $100 = $20.00 of free! On Feb 18, I'll be in touch for payment through PayPal or Venmo and I'll be placing all of the orders! Thank you to all of you awesome peeps. You are amazing. 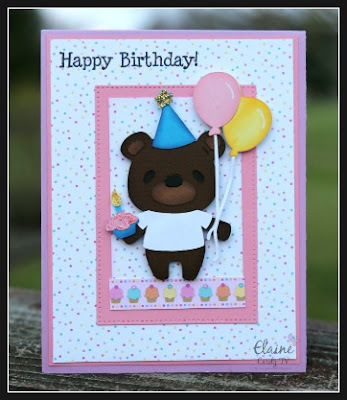 To shop for Cardz TV Stamps, click HERE! Thanks for spending some time with me today! Hello friends! 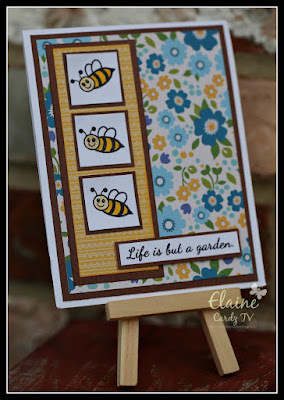 Welcome to this weeks Cardz TV Anything Goes Challenge! Let's see who won Cardz TV Anything Goes Challenge #82. Congratulations Donna! Please send your address to marycardztv@yahoo.com and I'll get your Cardz TV Stamp set right out to you! Thanks so much for joining me for the Cardz TV Anything Goes Challenge! 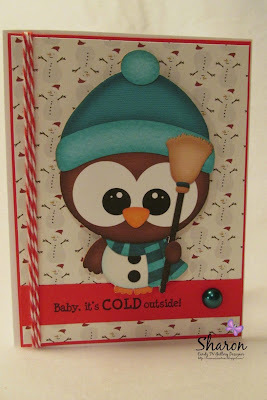 Create anything you'd like...card, home decor, gift tags, bags, boxes, scrapbook layout, mini album, etc...Anything Goes! You have until noon EST, Thursday, February 28, 2019 to post your name and a link to your creation, using the Inlinkz tool below. Many of you have asked, and no, you don't have to use Cardz TV Stamps to enter! I do ask that your entries be new projects...no backlinks please, and you may enter up to 3 times. The Cardz TV Anything Goes Challenge winner, picked by random.org, will receive a set of Cardz TV Stamps! Hope you all have fun with this Anything Goes challenge! Good luck everyone...I can't wait to see what you create! I'll see you back here on March 1, 2019 for challenge #84! 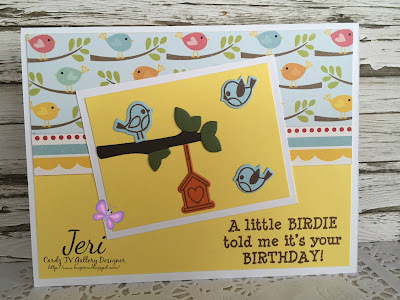 MELISSA ~ CARDZ TV STAMPS "MAKE A WISH", "BIG BOLD SENTIMENTS" & "BIGGER EVERYDAY SAYINGS"
KIM ~ CARDZ TV STAMPS "MIXED MESSAGES"
JERI ~ CARDZ TV STAMPS "FOR THE BIRDS"
ELAINE ~ CARDZ TV STAMPS "MAKE A WISH"
Hi guys! 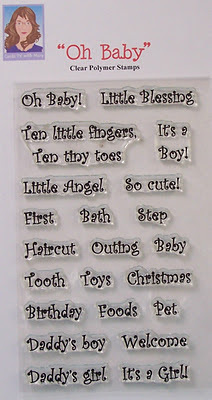 Today we'll make 2 sweet "welcome baby" cards using the CTMH Heart Happy kit, Cricut/CTMH Flower Market, and Cardz TV Stamps "Oh Baby". Hope you enjoy! Thanks so much for watching! 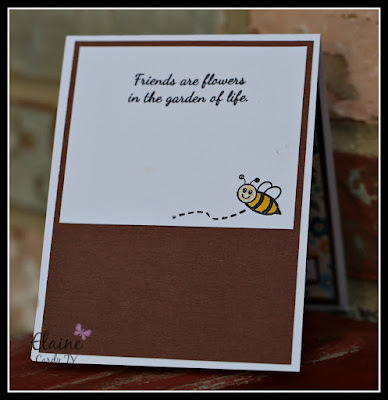 To shop for Cardz TV Stamps click HERE. Hi guys! I'm so happy to be back with you after such a long time! Thank you so much for your emails, messages, your comments, concern and prayers! Ya'll are just the BEST! 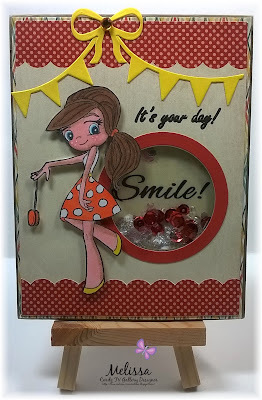 Today we'll take a look at the CTMH Heart Happy Workshop Kit from my sweet friend, Linda, who is a CTMH Consultant. It's just chock full of wonderful goodies for making cards and/or scrapbook layouts. Thanks for watching! Let's see who won Cardz TV Anything Goes Challenge #81. Congratulations Caroline! Please send your address to marycardztv@yahoo.com and I'll get your Cardz TV Stamp set right out to you! Thanks so much for joining me for the Cardz TV Anything Goes Challenge! You have until noon EST, Thursday, February 14, 2019 to post your name and a link to your creation, using the Inlinkz tool below. Many of you have asked, and no, you don't have to use Cardz TV Stamps to enter! I do ask that your entries be new projects...no backlinks please, and you may enter up to 3 times. I'll see you back here on February 15, 2019 for challenge #83! MARIA ~ CARDZ TV STAMPS "JUST SAYING"
ELAINE ~ CARDZ TV STAMPS "PRETTY POSEY"
KAREN ~ CARDZ TV STAMPS "PRETTY POSEY"
SHARON ~ CARDZ TV STAMPS "SNOW DAY"